Lakeside Chatter: Mark your Calendars. 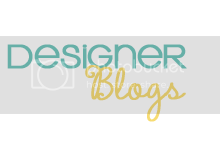 I wanted to send out a few updates of things coming up form my sponsors who I love love love and want to pass on the love by doing weekly updates. Please help support my sponsors and get ready to mark your calendars for some great stuff and products. They also have recently "unveiled" the pavilion - so the place is re-organized and looks awesome!! Also (VERY EXCITING) Soline, a Bpeace ‘Fast Runner’ will be visiting Sugar Creek Garden Center this Wednesday, Thursday, and Friday (13th, 14th, 15th). She is a garden center owner from Rwanda who has been in business for 12 years. Her trip is being sponsored by the non-profit organization BPeace. BPeace was founded in 2002 and is a non-profit network of business professionals who volunteer their time and share their skills with entrepreneurs in conflict-affected countries including Afghanistan, Rwanda, and El Salvador, believing creating jobs, creates peace. Bpeace made a commitment as part of joining the Clinton Global Initiative to create One Million Jobs for Peace. Madison Lane Photography: Erin and her FABULOUS photography will be at the Spring Festival held at River Hills Church on Saturday, April 30th from 7:00-12:00 she will be there taking pictures for free for Mother's Day and will be offering 5x7 prints for $5 and 8x10 prints for $10. 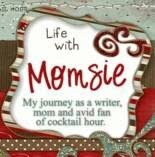 A great gift for Mothers Day!! Sew What Mommy: More appliques on deck. These are just cuter than cute and perfect for spring and summer months coming. Check out their blog and facebook page for pictures and how to order. lemon soap in the shape of a Margarita glass. And Much MORE!!!! Whoever wins this is going to be super lucky and I encourage you all to tell all your friends to enter the giveaway. More info on how to enter and when the contest will start will be posted soon!!! Looking to volunteer, please make sure to check out SCO website and learn more about how you can help homelessness in our city. 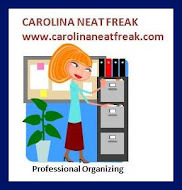 They have several upcoming events scheduled through May including "Operation Mayday" which helps prepare Easter meals for families who are homeless. For More information visit thier Facebook Page here. Thanks again to all my wonderful sponsors, friends, neighbors, family and EVERYONE who is making Lakeside Chatter a true joy in my life and hopefully in yours. Now go mark your calendars!!! 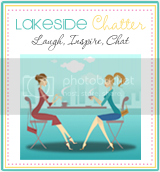 And if there is anything coming up you think would be a great fit to post on Lakeside Chatter please feel free to send me an e-mail at lakesidechatter@gmail.com or leave me a comment. Have a Great Tuesday! !